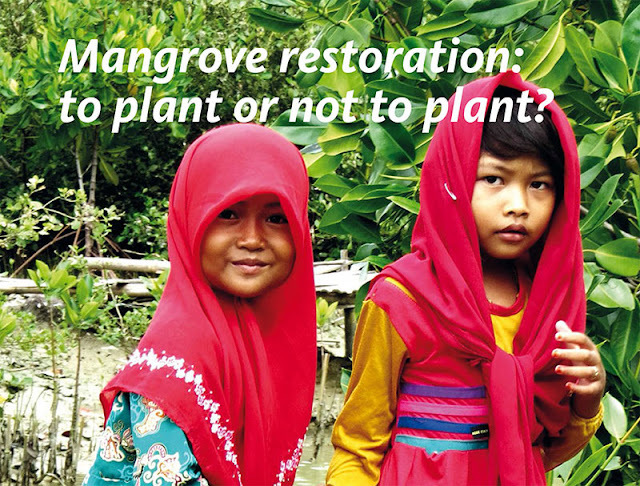 Today, on the International Day for the Conservation of the Mangrove Ecosystem, conservation organisations and mangrove specialists worldwide highlight the multifunctional benefits of the practice of ‘natural regeneration’ of mangroves. 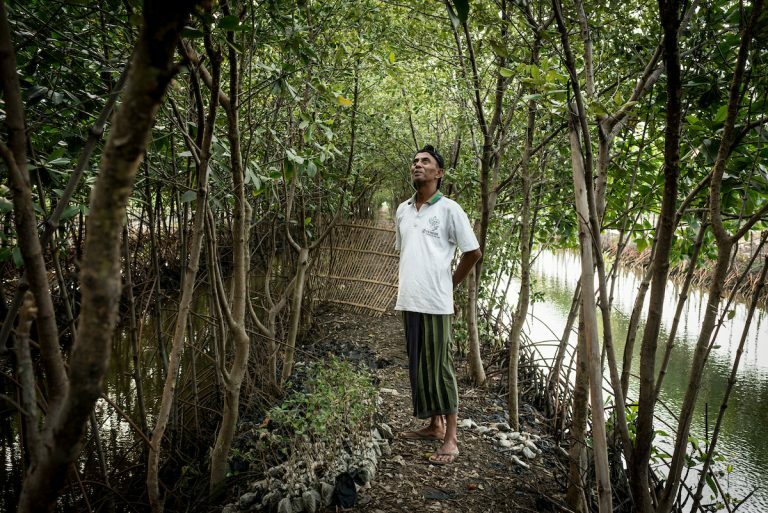 Compared to planting efforts, survival rates are considerably higher and it results in a more biodiverse, resilient and productive mangrove forest, enhancing community livelihoods and reducing disaster risk. 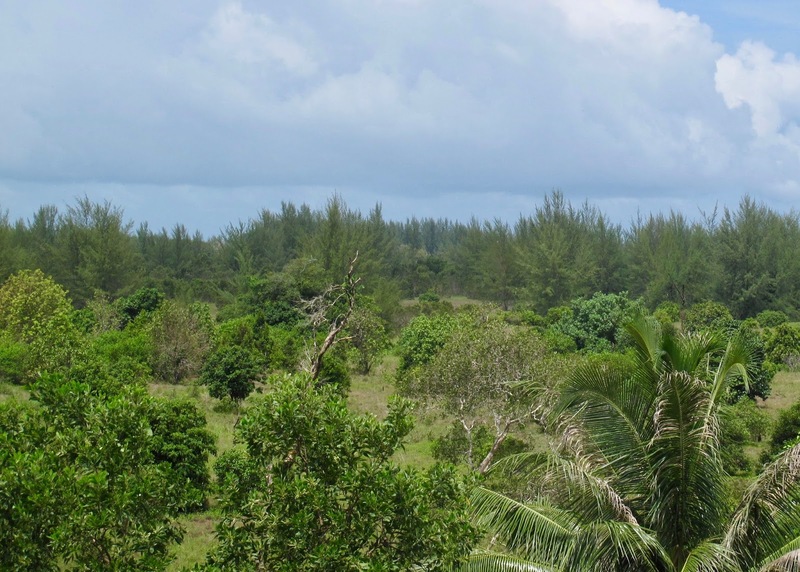 During the last decade enormous interest has been raised in the role mangroves can play in reducing tropical storm, coastal erosion and flood risk for coastal communities. 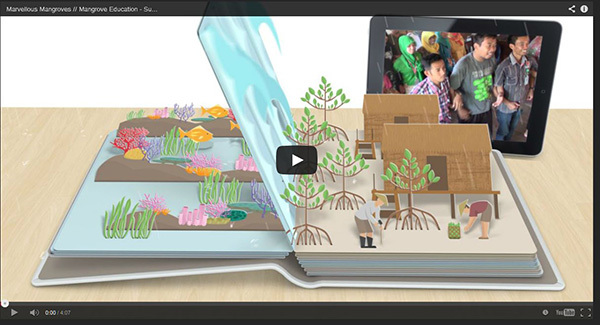 Across the world hundreds of thousands of hectares of mangroves have been actively planted. But the majority of planting efforts fail as planted seedlings die and even if seedlings survive, the ecological value of a monoculture and benefits of the planting efforts for increased community resilience are questionable. Wetlands International, Mangrove Action Project, Mangroves for the Future and the IUCN Mangrove Specialist Group (MSG) say that a more appropriate mangrove restoration is urgently needed worldwide to enhance coastal safety, fisheries, aquaculture and carbon sequestration. 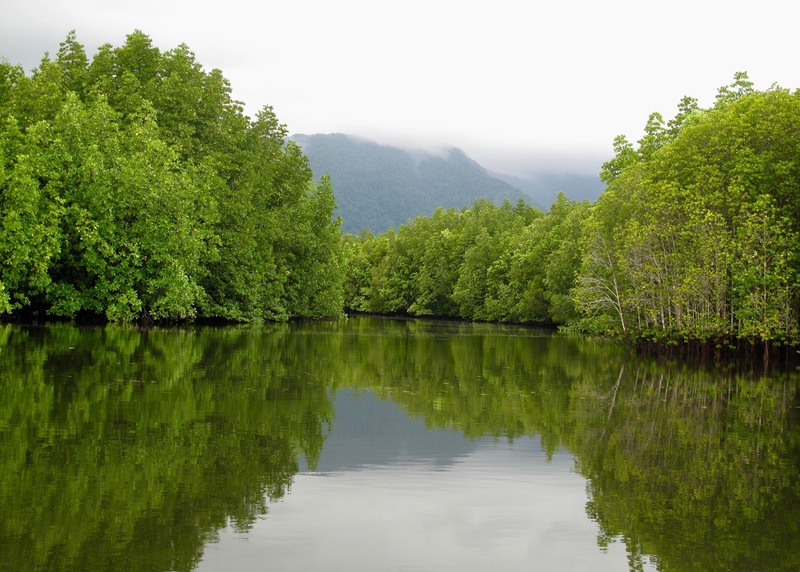 To support best practices, they pulled together lessons learnt in a discussion paper and raise attention for the ‘Ecological Mangrove Restoration approach’ (Lewis 2014). This approach focuses on creating the right biophysical and socio-economic conditions for mangroves to grow back naturally which results in the establishment of a sizeable, diverse, functional and self-sustaining mangrove forest that offers benefits both for nature and people. The paper is available in English, Spanish, Khmer, Vietnamese, Burmese, Thai and Indonesian to assist parts of the world where mangroves have been lost or degraded, along with their valuable services. Later in the year also French, Filipino and Malaysian translations will be distributed. While planting can assist or enrich the natural regeneration process, frequently wrong species are planted in the wrong places. Mono-species planting can lead to non-functional mangroves, with limited benefits and low resilience. Planting in the wrong places, such as in areas that were not previously covered by mangroves can lead to damage to other ecosystems or can block sediment and water flows. 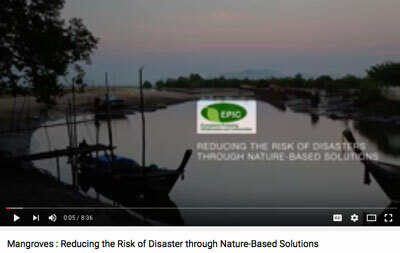 The conservation organisations and mangrove experts encourages local NGOs and big funding agencies to be more cautious when implementing restoration projects and recommend involving restoration ecologists and experts in flood risk management. The importance of understanding the restoration site with a proper risk assessment and receiving advice on the best practices at the specific site, along with local experts, is key to effective mangrove rehabilitation. They also recommend, to avoid mangrove reconversion, that economic activities are developed that provide sustainable benefits from the restored goods and services, thereby strengthening the business case for restoration. This means that local communities need to be empowered and authorities need to be involved from the onset of restoration plans. 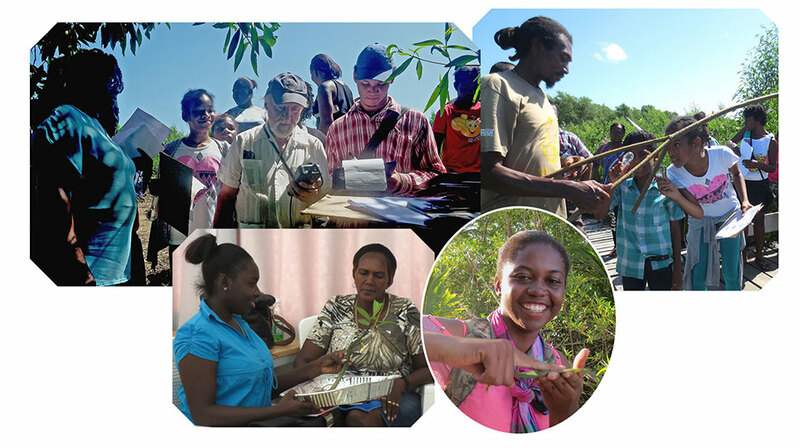 Mangrove Action Project is proud to celebrate 25 years of working to expand the awareness of mangrove forests and the people who depend upon them. 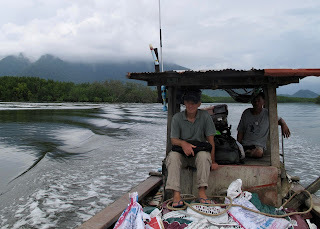 Twenty-five years ago, raising the public awareness on mangroves and roles they play in fisheries, human safety, carbon-storage, coral reel protection, migratory bird habitat, and myriads of other benefits and value, seemed nearly insurmountable. Forests were being decimated, and destructive forces seemed unwilling to listen to the small voices of communities and NGO who cried out against it. However, here we are in 2017, celebrating Mangrove Action Day which has been recognized by the United Nations and endorsed by countless communities and organizations, both public and private around the globe. 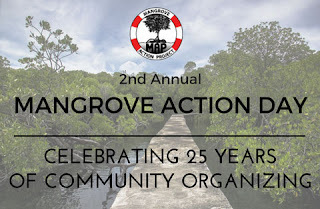 We here at MAP are pleased to join in for the Mangrove Action Day July 26, 2017 activities. It is now apparent that the entire world has joined us in recognizing the role these vital forest ecosystems play in human life as well as the planet's life. However, there is still much to be done. Coal fired power plants, dams, overfishing, coastal development and yes, still, unsustainable shrimp farming continue to destroy countless hectares of forest annually. As you remember Mangrove Action Day today, we encourage you to use your small voice to continue to work towards a healthier future; for the planet and for our children. 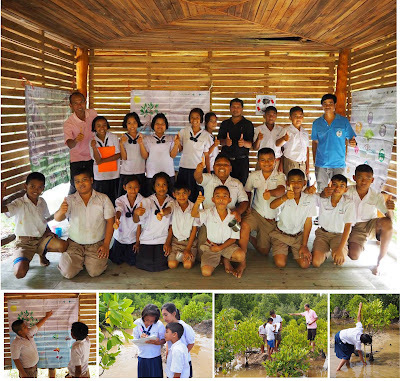 EDUCATIONAL WORKSHOP On 11th July, an environmental education activity was held at Ban Bang Kang Khao School in Trang, Thailand where the students learned all about the mangrove ecosystem from MAP facilitator, Udom Pariwatpan (Em), and then all 20 students went to visit the nearby community Community-based Ecological Mangrove Restoration (CBEMR) site to identify mangrove plant and animal species. Students also learned how to do transect monitoring, putting their species ID skills to the test. The school principal, Ms.Wimala Thongnoo, has been a keen supporter of MAP’s EE activities at the school over the past 5 years under the Global Nature Fund, Dailmer AG and the Body Shop Foundation donors. ART CONTEST MAP staff, Jim, Ning and Em organized a mangrove art contest on 26th July at Tasanook School in Phang Nga province. It’s expected that 30 children will join in the event which will be followed by a trip to the MAP supported mangrove interpretative natural trail completed in 2016 under the Dailmer AG project. The winning art pieces will sent to MAP’s headquarters is the USA to be entered onto the annual mangrove art contest with the final 12 winning art pieces, obtaining a month in the 2018 MAP Mangrove Art Calendar. For the third year in a row, we are also holding our mangrove.is photo contest, raising awareness of the connections people have with mangrove forests by creating a global photography exhibition. photos were part of a special exhibition that will help spread the importance of mangroves. At the event in Seattle, viewers had the chance to view incredible photos from years prior, and vote for their favorites to determine the winner! We invite all primary school children from tropical and sub-tropical nations, and whose schools are located near mangroves, to create art telling us “why mangroves are important to my community and me?”Selected winners will be published in the 2018 calendar to be distributed internationally to raise awareness of mangrove forest ecology. This colorful calendar has increased in popularity since its first publication in 2002. The 2018 calendar is our 16th edition. We would like to invite children from your country to join in this fantastic creative and educational competition. It is an opportunity for the younger generation to learn about the vital role Mangroves play in the lives of coastal communities and marine life around the world whilst letting them explore their imagination and have fun when creating their pieces of art. This contest aims to promote appreciation and awareness of mangrove forests and communities, while encouraging and listening to creative voices of children living in mangrove regions. EDITORS NOTE: The damming of the Mekong is having big effect on the Delta and its mangroves in Vietnam, just as the dams on the Mississippi have had ruinous effects on the delta there and resulted in the loss of about a 50 mile wetland buffer between New Orleans and the sea, resulting in the recent disaster created by Hurricane Katrina. Closer to MAP’s home in Washington State, scientist are seeing an unexpected benefit of sediment on coastal ecologies that may apply to mangrove forests worldwide. Editor’s Note: This recent study predicts salt marshes will be able to keep up with sea level rise & migrate inland, IF there is no hard infrastructure preventing expansion. The other big factor is there no change to the sediment load. Both factors are also critical to mangroves re: sea level rise. We are delighted to present the result of a scientific research project that is fruit of a collaboration between the Federal University of Ceará (UFC) and the Universitat Autònoma de Barcelona (UAB). This is the article that has just been published in the journal Ecosystem Services entitled "Neglected ecosystem services: Highlighting the socio-cultural perception of mangroves in decision-making processes." The results were concerned with the proposal of tools for the management and formulation of policies for the conservation of coastal ecosystems, investigating the socio-cultural evaluation of ecosystem services of the mangroves through a case study carried out in the Cumbe community in the State of Ceará, Northeast of Brazil. It is a Quilombola community territory of fishermen and shellfish sharply impacted by shrimp aquaculture. A combination of methodologies was used to complement ecosystem services identified in the academic literature with those perceived by the local community in order to analyze the locally perceived mangroves services in relation to livelihoods. We demonstrated that the local community identified four additional cultural services which were the maintenance of traditional ecological knowledge (TEK), creation and maintenance of social relationships, personal satisfaction and mental and physical relaxation. This demonstrates a symbolic linkage with mangroves beyond the material analysis usually used to evaluate ecosystem services and shows that the sociocultural dimension of mangrove services is an indispensable criterion to be considered in the different decision-making processes. We hope this article will contribute to addressing the challenges for the conservation of coastal ecosystems. During a two month immersion into the mangrove world as a volunteer with the Mangrove Action Project in Trang, southern Thailand I learned there are more than 60 species, they livelihoods for local communities, play a role in coastal protection, and have been greatly reduced in Thailand, mainly due to shrimp farming … It is indeed a unique ecosystem which has had so much research on a whole range of different kinds of issues and many books have been written about this magnificent forest. Some people have even devoted their entire life to protecting it. Personally, I needed time to step back and explore something else. Dr. Barry Bendell monitors seagrass on Koh Phra Thong an island off the coast of Phang-nga Province, Thailand. He is one of MAP’s volunteer scientific advisors, which is how I got in touch with him. So, on Wednesday 22nd of June with the big Spring tides approaching — it was time to monitor seagrass — So I hit the road to meet him. It was a long journey from the south to the north along the Andaman sea’s coast, taking me from Trang, through Krabi, past Phuket island to Phang-nga province, which by the way has the largest mangrove area in all Thailand. Around Trang, it’s mainly flat and rolling land with oil palms and rubber tree plantations where a few limestone walls pop-up in the scenery, especially along the coast. Then, on the way, more and more cliffs unveiled themselves from Krabi to Phang-nga, a small mountain range of karst limestone emerges. Passing Phang-nga town, it becames more hilly and the winding road is surrounded by tropical rainforest all the way to my final destination for today: Kuraburi located on the main coastal road with a few houses and shops lining both sides. Buses as well show a contrast between north and south on the Andaman coast. A comfy large seat in a fast AC bus from Trang to Phang-nga and then an old, orange painted, Mercedes-Benz bus, with benches as seats, open windows and fan on the ceiling, cruising at 30km per hour on average, struggling to get at the top of the hills. I arrived just before nightfall to meet Barry We had a good dinner near the bus station, a cold beer and then we went to bed early. Early morning was announced to catch a boat to the Island. In the morning, after a rice porridge and some purchases at the market, we went to the Kurburi pier. No boat was leaving to the island so we travelled to a second pier. Waiting for our boat, we were watching three local boats being filled up with sacks of concrete. The loaded boat’s gunnels were riding just above sea level and a small wave and some rains would be enough to sink them. Kind of laughing about the danger these people take, we were astonished when we understand that these were the only boats available to reach the island today. After a heavy downpour, we left the pier, fingersed crossed. The long-tail boat, slowly found his way through the numerous canals. Not a sound came out of the mangrove nor a breeze. Silence, except for the monotonous sound of the motor. Time started to slow down and I forgot about the boat and the rain. I took time to contemplate the mangrove forests. Young trees, sometimes an area with much diversity but mostly Rhizophora. Getting close to Phra Thong (Golden Buddha) Island I could see seagrass beds, mudflats, then mangrove and forest. A continuous natural setting. Why should we just protect the mangrove? Actually all this nature which we divide into units forms one large interconnected ecosystem. My feelings of contemplation and calmness continued when I walked through the village of Lions. The island was hit by the 2004 Tsunami, people died, and one village was totally destroyed. With the money from the international Lions Club, a new village has been built but hardly no one is living there because of poor planning, bad management and a short-term development program. Afternoon arrives and we head to Tha Pae Yoi, the main village on the island from where we took a kayak and glide onto some sandbanks where seagrass was growing. Time to learn more about the seagrass ecosystem. Invisible at high tide, seagrasses, are a type of submerged aquatic vegetation. Many people confuse seagrass and seaweed which are quite different. These plants evolved from terrestrial plants and have become specialized and are able to live in the marine environment. They have leaves, roots, flowers and seeds like any terrestrial plants, but amazingly they can live covered with saltwater most of the time. Salt kills plants and being submerged underwater means the lack of oxygen would drown plants. Seagrasses are the foundation species for the system with a single acre (0.4 ha) of seagrass producing over 10 tons of leaf biomass per year. Seagrasses support the associated ecosystems of coral reefs and mangroves by providing food, shelter, and essential nursery areas to fish species (especially juveniles), countless invertebrates like crabs, shrimp, mollusks or sea cucumber and mammals like the dugongs who need more than 40 kg of seagrass per day. Seagrass meadows also provides livelihood for local communities. I was amazed by the number of people at each low tide collecting and harvesting conch, mussels, crabs and sea stars in the seagrass ecosystem. This not only provides food but also medicines and soil fertilizer for their gardens. Furthermore, seagrasses have a role in stabilizing sediments and improving water quality. Barry is interested in a fair amount of research about invertebrate and seagrass. During the afternoon, we searched for a species of conch, an edible sea snail that people harvest, called dog conch. We collected all of them, both the small ones and the adult ones to measure them and then we released them. Barry took measurements of the adults as he is interested in the proportion between juvenile and adults in a seagrass area unprotected and protected. As fresh air arrived as suddenly as the winds picked up, I looked at the horizon. A curtain of rain was moving down on us. A moment later, heavy rain and lightning ended our field work for the day. We paddled hard in the cold rain to reach the shore then it was a long motorbike drive back to our base in the village. The hot coffee was a fair reward. Low tides were in the afternoon. In the morning, between down pours, I explored the Island. Koh Phra Thong is situated in Phang-nga province on the north-west coast of peninsular Thailand. It’s a flat and sandy island surrounded by mangrove on the landward side and beach facing the open Andaman Sea into the Bay of Bengal. 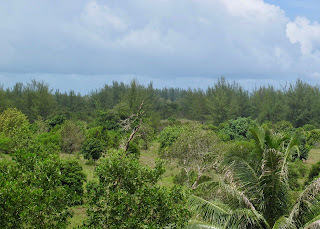 On the western seaward side, beach forest with pine like trees (Casuarina equisetifolia) and in the island interior, a landscape with tall grasses and paper bark tea tree (Melaleuca quinquenervia) depicts this unique savannah ecosystem, not found on any other island along the Andaman coast. We start the seagrass monitoring. Pa Nee, our homestay cook, was there to help as well. The data collected is sent to Seagrass Watch, a global scientific seagrass assessment and monitoring program based at James Cook University in Townsville, Australia. Monitoring gives one a long-term perspective which is the opposite of most biological research, geared to the time it takes to do a Ph.D. or Master’s thesis, and funding for projects in few year time frame. Seagrasses are subject to a number of stresses such as storms, excessive grazing, disease, and pollution. The long-term perspective allows one to identify patterns that cannot be seen in the short-term. Once you have identified trends you can begin to ask what is it that is causing them and look for answers that are consistent with the patterns found. There are disadvantages though. Usually, there is no clear end point for the monitoring and the objectives can be vague, and so it can be difficult for a funder to support long-term monitoring. The Seagrass Watch monitoring uses the same method worldwide which consists in three transects of 50 meters each. Every 5 meters we dropped our square quadrat (50cm x 50cm) to sample everything from crab holes to any kind of invertebrates. Then we estimate the total coverage of seagrass and the coverage by seagrass species and finally record the length of the long seagrass. During the next couple days, we sampled a second site, situated in a locally protected area (LPA). More seagrass was present and we could find bigger conch. The site is located just in front the village where local people support the idea of a seagrass conservation zone. Barry asked people in a survey about the protected seagrass area and everyone thought it was a good idea and many people certified that the number of conch has increased where they collected them outside the LPA. They feel the protected conservation area is acting as a nursery which is the primary purpose of a LPA. Although a few people have helped on occasion with monitoring, most people are not really involved in any direct way although they think it is a good idea. They really just want to be able to collect conch for local consumption and to increase their incomes. I think it is the same in most places that people support conservation but only a minority gets involved. Barry is also involved in sea cucumber raising in old extensive ponds2. I helped him to collect some young juveniles that can be stocked for grow-out in peace. At nightfall, we tried to monitor big sea cucumber in the protected area but the water was too turbid and we could hardly see anything except small fish and shrimp attracted by our lights. On the way back to Trang, proceeding as on the way I came, I had plenty of time to think about restoration and ecosystems at much larger scale. Living in a small village with no electricity and few possibilities to earn an income I understand the needs of local communities which harvested the natural ecosystem for food, livelihood and money. A week of insertion into the local environment was indeed a rewarding experience. I regained my confidence in the need to protect the natural ecosystem and the importance of developing a holistic approach to understanding the complexity of the ecosystem, but also not forgetting the needs and benefits of resources for the local communities. How Can Mangrove Restoration Be Successful? Well, today its my last day after a three month rewarding experience here at MAP office Thailand. I want to thank all of you who shared your knowledge and passion with me and taught me so many things about mangrove conservation and restoration. This internship was a real human experience where I enjoyed to help you out with some projects and to be part of the team during this too short time. The information provided by MAP is wonderful and highly important to those who are working on Mangroves. I am lucky to have the information. I have been working with mangroves in our location (A.P., INDIA) since 2009.